This review has been compensated by Put Me in the Story. Honestly, I am loving this new trend of getting personalized story books. I was able to personalize a lot of things as a child because April is so common and, well, it’s on the calendar. However, my siblings aren’t so “lucky”. They have beautiful names, but I could never find something personalized for them. 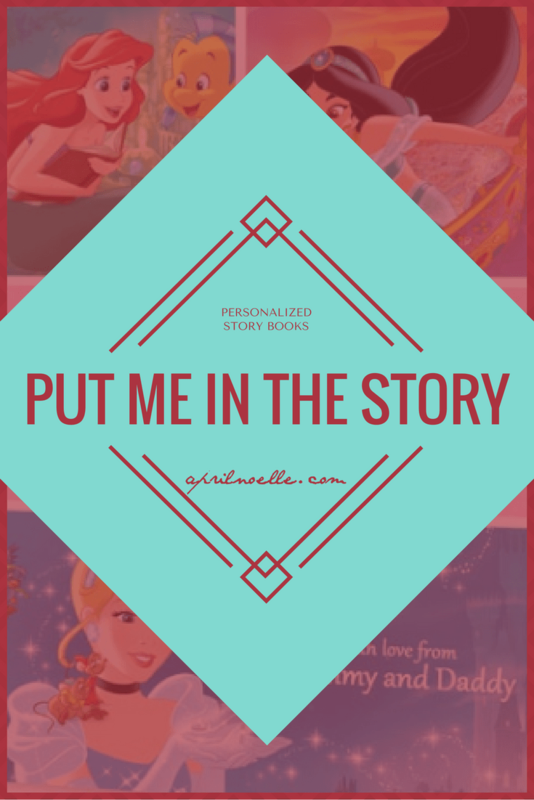 Now, Put Me in the Story not only personalizes the book, it actually puts your child in the story! Both of my daughters have very different personalities. Bee is kind and thoughtful, but often headstrong and persistent. Butterfly, on the other hand, loves to play princess and acts her role in the family – the baby. Going through the 144 options at Put Me in the Story, I really wanted to capture each of their personalities. It was harder than I thought. My girls don’t have strong character likes. They are fond of Mickey Mouse, Shopkins, Pete the Cat and many other characters. However, I would not say that they are they have a die-hard love for any particular one. On one hand, that’s great because that gives me much more flexibility in what I choose for them. On the other hand, it’s really difficult because I can’t rule out any character for either of them. When I started the book choosing process, I had to think long and hard about what the book said and represented for each of them. For Butterfly, I choose a book called Disney Princess Dream Big Princess Butterfly. This book covers the Disney princesses, including Ariel, Aurora, Belle, Cinderella, Jasmine, Merida, Mulan, Pocahontas, Rapunzel, Snow White and Tiana! Wow! 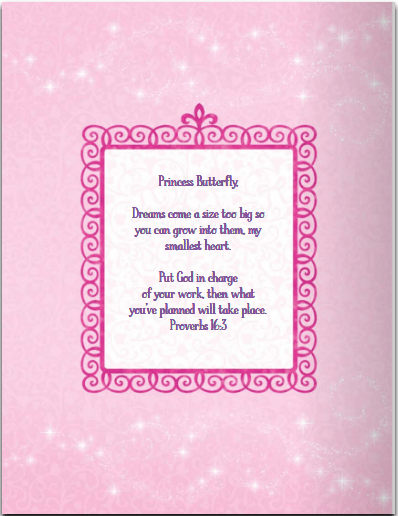 Each princess tells Princess Butterfly about their journey and how they dreamed big to get what they wanted. For Bee, I chose the Justice League. She has been very fascinated with superheroes, strong women and all the things that women could do, so I figured that putting her in a story that emulates these strong characters would resonate with her. I thought the hardest part would be choosing the book. I was wrong. Both books I chose gave you the option to include an inscription. Do you know how hard it is to write something that you know your children may have FOREVER captured in a printed book? This took me a long time to get right for each girl. I also chose books that gave me the option of putting multiple pictures of my child in the book. Again, like the inscription, finding the right picture to be placed in the book took so much time. I finally found two pictures for each of them. I think I easily spent an hour on each of these books getting them perfect. Whew! I was finally done. Thankfully the website itself was super easy to use. Some books have pictures, some have inscriptions, some have one picture and others have two. You choose the book you want, add your pictures and write your inscription. The website process took less than five minutes per book. The great part of Put Me in the Story is that it isn’t just a superficial name on the cover, but it actually puts your child in the story! Butterfly’s name was in the book 14 times and Bee’s was in the book 8 times, including the cover! Now that I see them it was completely worth it. Both of my girls shine in their books and they screamed in excitement to read them over and over again. Standard shipping cut-off date for Christmas delivery is December 12, so ORDER TODAY! Starting December 13th, customers will have to upgrade shipping for Christmas delivery. This is a super cute idea. My boys would LOVE one of these books. 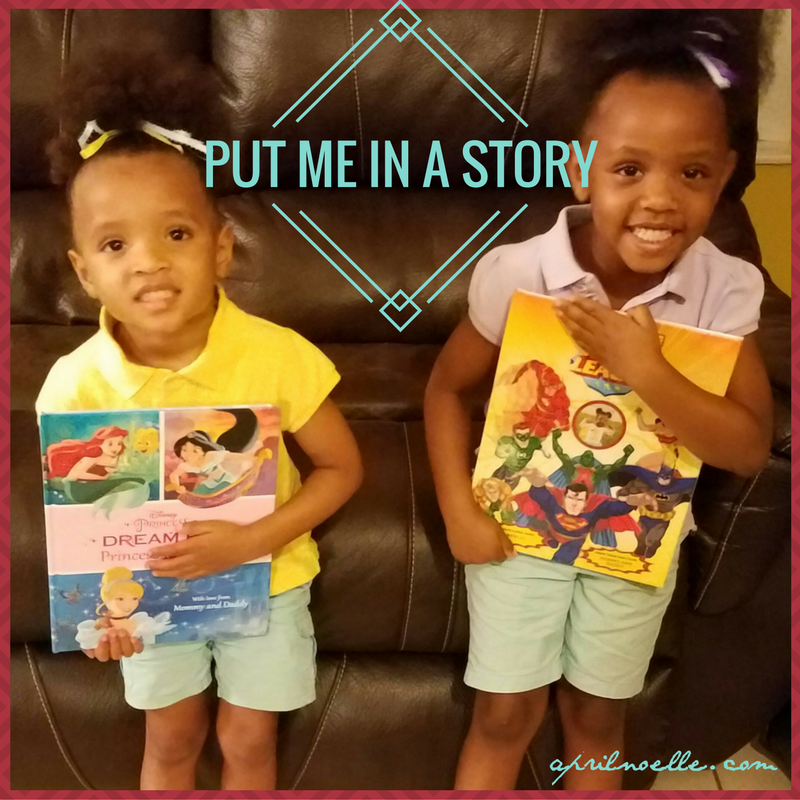 Personalized story books are the greatest gift we can give our children. They make reading so much fun, and they create an instant keepsake. Personalized books are the best. We got one for each of our kids a few years ago, and they’ve had pride of place in the bookshelf ever since. They love them. This is so neat and would make a great gift. This is perfect for my little niece and nephew. Personalized Storybooks are always a great hit with younger children. I love the idea of giving the gift of reading yet in a personal way this holiday season. Glad you shared this! There is nothing like a personalized book to get kids into reading. My daughter had one when she was little. Personalized books are such a wonderful gift idea. They really make kids feel like a star! My kids love books like these! What a great gift idea! Growing up, I remember how much I always adored that my grandma would buy me a storybook every year that had my name in it. I love how now you can make them even more personalized with photos of the children too. Put Me In The Story has so much cute options, I think any child would be thrilled with a personalized book from them! These personalized story books are really amazing. A great way to encourage kids to read more. I have hear of these before. I think it is a great way to get your child’s attention on reading. I always wanted one of these when i was little, but now i can do this for my kids. My daughter would love the princess book! I love personalized items! It makes the gift last forever and the kids can feel real special when they read the books catered to them! I think this is such a great idea. I love personalized things, especially books. I find it keeps my kids wanting to read and really engaged in the story to see their name in the book too! That would be so cool! I always wanted to be a part of a story like that when I was a kid. Glad to see that kids today get that option. Those are so cool! I love these type of books as gifts. We have a couple of these and we LOVE them. I think this is a great gift for any kid, any time!